Here Is Why “Pad Man Challenge” Is Nothing But An Attempt To Cash In On The Wave Of Feminism! 1. No, this is NOT an open letter. I Swara! It’s not. 2. Yes, this is an opinion piece. 3. No, I have nothing against the movie Pad Man. 4. Yes, I have a few things to say about Padman Challenge. 5. Yeah, I know. I know. I’m good, Thank you. Alright then, jokes apart – Padman film is directly inspired from the story of Arunachalam Muruganantham, a Tamil Nadu-based activist who revolutionized the idea of menstrual hygiene in rural areas by creating a low-cost sanitary napkins producing machine. The #PadManChallenge, as it is called, attempts to break the taboo around menstruation by challenging the person to post a picture of him/ her holding a sanitary pad on the social media. Let us leave the debate of the movie’s factually incorrect depiction of the real life hero, Arunachalam for another day and focus on the much hyped ‘Padman Challenge’. Okay, I get it. It’s just another movie promotional gimmick and yes they have all the rights to do it. But then, where do we draw a line? I may come out as cynical to be questioning a supposedly *awareness* campaign like this one but just be patient and hear me out, I promise I’ll make sense. 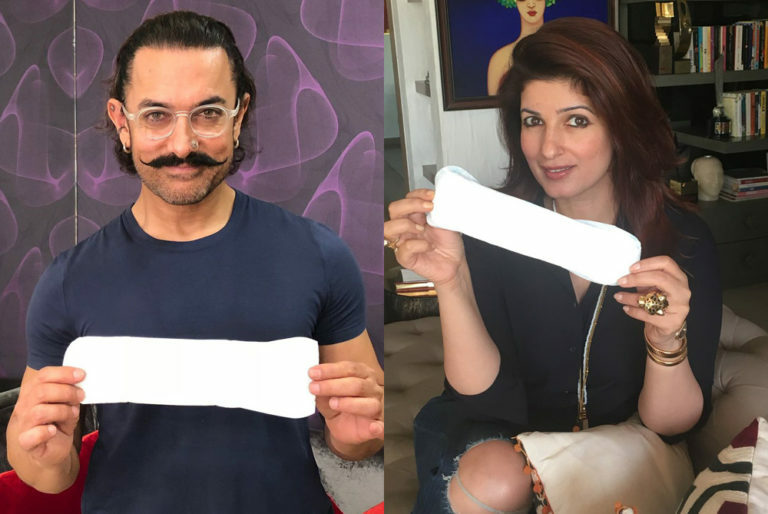 How, just how ‘the extremely privileged Bollywood fraternity posing with Sanitary Napkins in their hands’ creates any kind of tangible awareness? How can you term ‘wasting menstrual pads that aren’t biodegradable for a photo-op’ as a social campaign? I mean, either I am insane or I am definitely missing something here. What purpose does the campaign serve when we pose with pads for social media posts, a platform where most of the users are already well aware of the use of sanitary pads while millions of girls are still using rags during menstruation? Doesn’t such a problematic campaign take away the credit due to activists and people who have spent time, resources and hard work, to not only crush the stigma around menstruation but to educate people about it at grassroots? And lastly, what is the price and brand of the sanitary napkins being brandished by Bollywood celebrities on social media? I am not here to condemn Bollywood for taking up social causes, but to question their sincerity in doing so. This campaign is nothing but just another by product of CAPITALISM. It gives undue credit to rich and privileged celebrities and it gives unquestioned endorsement to expensive plastic based non bio degradable menstrual pads. And, it is also just another classic example of PR professionals trying to cash in on the wave of feminism while having absolutely no sincerity or genuine concern for the actual cause. Having said that, here’s my Padman Challenge to all of you who ‘REALLY’ care! Raise awareness about menstruation and environmental SUSTAINABILITY parallelly by promoting reusable options like menstrual cups, cloth pads, and tampons. REFUSE to take the pack of sanitary napkins hidden in a newspaper or black poly-bag and ask for it to be sold to you just like any other product in the shop. Talk about it. TALK, with intent to educate. Take seminars and workshops at schools, classes and colleges if that is what it takes. Do not stop the CONVERSATION here. Take it further. Educate yourself more and more about the menstrual process and help yourself as well as the society decode all the taboos surrounding it. Repeat after me, “EVERY WOMAN’S PERIOD EXPERIENCE IS UNIQUE” and hence do not ever, EVER mock, embarrass or question the level of discomfort a woman feels during her periods. Have no doubts, I’m incredibly glad too that we are finally making films about menstruation but if in the process of promoting such a film we are trivializing the entire idea or the rationale behind the plot and losing track; we must get up and ask questions. Because at the end of the day, we must remember that we don’t want this to end up being just about all those privileged celebrity poses, we don’t want this to be reduced to just a movie. Please, we just cannot let that happen. No. On a more positive note; if there’s one thing good coming out of Pad Man challenge, despite of it being a PR exercise, it’s that it has opened up a discussion on the topic of Menstruation on a very noticeable proportions. Cheers to that, I guess? Peace. I write, because I can't dance. 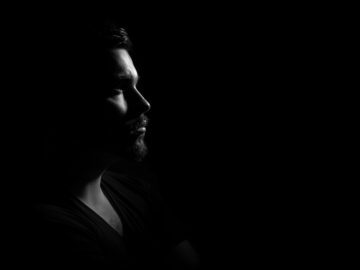 Dear Men, It’s Time We Hold Ourselves Accountable For Every Time We Made Someone Feel Uncomfortable! Standup Comedy in India: Full Of Misogyny, Double Standards and Inequality Towards Female Artists! 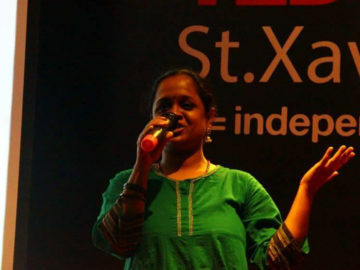 Standup comedian Preeti Das shares the dark side of comedy scene, that most of us are unaware of! 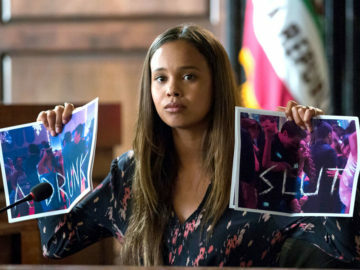 “13 Reasons Why” Tell Us Molestation Is Not Just India’s Problem, It’s A Global Problem! 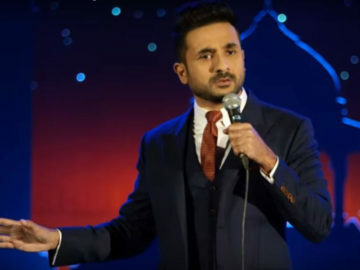 Vir Das Is Asking All The Right Questions Through His Standup Comedy! 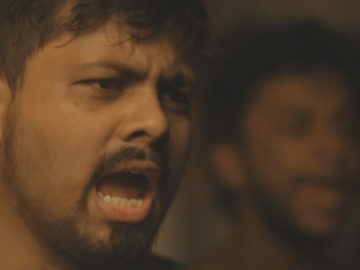 This Fusion Of Poetry And Rap About Rapes Hits Where It Hurts! 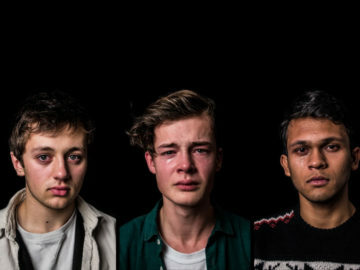 Real Men Cry, These Thought Provoking Photos Are Proof!